A massive new Apple Store opened its doors for business Saturday in Hangzhou, China. Big crowds reportedly gathered outside the West Lake Apple Store for the opening. Apple CEO Tim Cook — who doesn’t use social media that often — tweeted about “Starting Something New” in China to recognize the store’s unveiling. 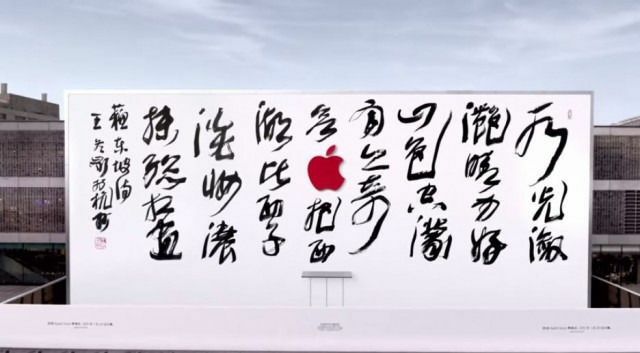 Apple teased the opening of the store this week with a video showing artist Wang Dongling creating a mural for the unveiling of the Hangzhou store. The mural depicts a poem — titled “Praising West Lake in the Rain” — that blanketed the store as a promotional stunt. The Hangzhou store is one of five Apple Stores opening in China before the Chinese New Year at the end of February, according to 9to5Mac. Earlier this month, a store opened in Zhengzhou, with three more opening in the coming weeks. Zhengzhou and Hangzhou have populations in the millions. Still, it’s not all good feelings between the Cupertino-based company and China. Despite Apple’s push to expand its footprint in the Chinese market, the government has repeatedly expressed distrust for the company. In 2014, a state-run Chinese television program accused Apple of tracking its citizens’ locations through iPhones’ “frequent locations” feature. Apple, of course, was quick to deny such claims. Click here for the full article and more pictures from the store’s opening.